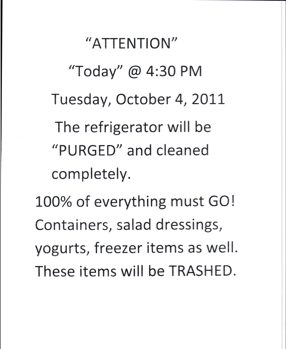 Heaven knows what the secretary who sent this memo is REALLY going to do to the refrigerator, or when. Thanks, Leslie. Not only that Bethany, but she doesn't really care if you are made aware or not.